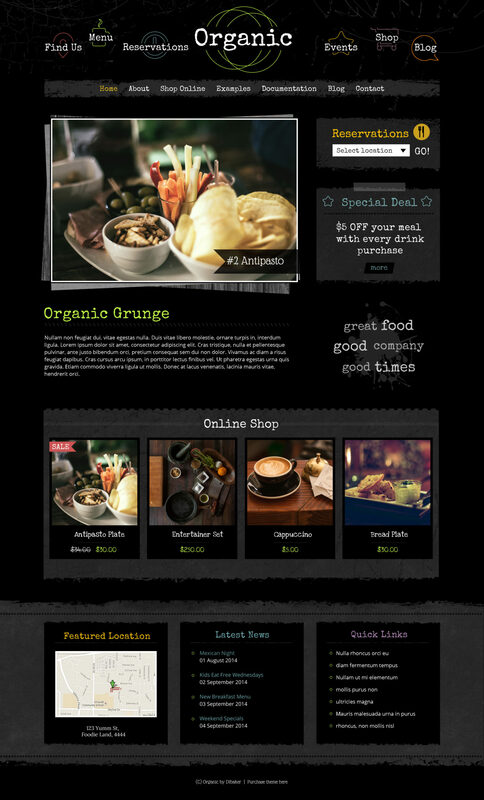 Organic Grunge is a creative WordPress theme that is easy to setup and comes with a great set of graphics and features. Available in both a light and dark version this theme is perfect for your online creative shop, trendy cafe, restaurant, band, sports team, custom clothing store or anything that needs the “grunge” feel. The graphics feature black, green and grey, scratches, circles, grunge edges with bright text overlays.